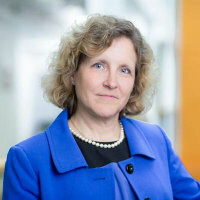 Marianne W. Lewis is Dean of Cass Business School and Professor of Management. She is an international thought leader in the field of leadership and organizational paradoxes. Change and complexity accentuate tensions – competing demands, contradictory pressures and challenging double-binds. Her research applies a provocative paradox lens to such domains as organizational change, governance, and innovation. Her work appears in the leading management journals, including the Harvard Business Review, Academy of Management Journal, Organization Science, and Journal of Operations Management. Professor Lewis was a UK Fulbright in 2014, and is currently completing two, related books. Her paper, “Exploring paradox: Toward a more comprehensive guide” received the Academy of Management Review Best Paper Award in 2000 and is among the most cited in the field. She joined Cass after a decade as associate dean at the University of Cincinnati, having earned her PhD from the University of Kentucky, and her MBA from Indiana University. Jarzabkowski, P., Lewis, M. and Smith, W. (2017). Practices for leveraging the paradoxes of engaged scholarship. Academic-Practitioner Relationships: Developments, Complexities and Opportunities (pp. 126–141). ISBN 978-1-138-10069-5. Schad, J., Lewis, M.W. and Smith, W.K. (2019). Quo vadis, paradox? Centripetal and centrifugal forces in theory development. Strategic Organization, 17(1), pp. 107–119. doi:10.1177/1476127018786218 . Andriopoulos, C., Gotsi, M., Lewis, M.W. and Ingram, A.E. (2018). Turning the Sword: How NPD Teams Cope with Front-End Tensions. Journal of Product Innovation Management, 35(3), pp. 427–445. doi:10.1111/jpim.12423 . Miron-Spektor, E., Ingram, A., Keller, J., Smith, W.K. and Lewis, M.W. (2018). Microfoundations of Organizational Paradox: The Problem Is How We Think about the Problem. Academy of Management Journal, 61(1), pp. 26–45. doi:10.5465/amj.2016.0594 . K. Smith, W., Erez, M., Jarvenpaa, S., Lewis, M.W. and Tracey, P. (2017). Adding Complexity to Theories of Paradox, Tensions, and Dualities of Innovation and Change: Introduction to Organization Studies Special Issue on Paradox, Tensions, and Dualities of Innovation and Change. Organization Studies, 38(3-4), pp. 303–317. doi:10.1177/0170840617693560 . Schad, J., Lewis, M.W., Raisch, S. and Smith, W.K. (2016). Paradox Research in Management Science: Looking Back to Move Forward. Academy of Management Annals, 10(1), pp. 5–64. doi:10.1080/19416520.2016.1162422 . Fairhurst, G.T., Smith, W.K., Banghart, S.G., Lewis, M.W., Putnam, L.L., Raisch, S. … Schad, J. (2016). Diverging and Converging: Integrative Insights on a Paradox Meta-perspective. Academy of Management Annals, 10(1), pp. 173–182. doi:10.1080/19416520.2016.1162423 . Ingram, A.E., Lewis, M.W., Barton, S. and Gartner, W.B. (2016). Paradoxes and Innovation in Family Firms: The Role of Paradoxical Thinking. Entrepreneurship Theory and Practice, 40(1), pp. 161–176. doi:10.1111/etap.12113 . Smith, W.K., Lewis, M.W. and Tushman, M.L. (2016). "Both/and" leadership. Harvard Business Review, 2016(May). Keller, J. and Lewis, M.W. (2016). Moving towards a geocentric, polycultural theory of organizational paradox. Cross Cultural and Strategic Management, 23(4), pp. 551–557. doi:10.1108/CCSM-06-2016-0124 . Lewis, M.W. and Smith, W.K. (2014). Paradox as a Metatheoretical Perspective. The Journal of Applied Behavioral Science, 50(2), pp. 127–149. doi:10.1177/0021886314522322 . Lewis, M.W., Andriopoulos, C. and Smith, W.K. (2014). Paradoxical Leadership to Enable Strategic Agility. California Management Review, 56(3), pp. 58–77. doi:10.1525/cmr.2014.56.3.58 . Lewis, M. and Smith, W. (2014). The Yin-Yang of Management: The Quest for Dynamic Equilibrium. Rotman Management, Fall 2014(The Balancing Act). SMITH, W. and LEWIS, M. (2012). Leadership Skills for Managing Paradoxes. Industrial and Organizational Psychology, 5(2), pp. 227–231. doi:10.1111/j.1754-9434.2012.01435.x . Knapp, J.R., Dalziel, T. and Lewis, M.W. (2011). Governing Top Managers: Board Control, Social Categorization, and Their Unintended Influence on Discretionary Behaviors. Corporate Governance: An International Review, 19(4), pp. 295–310. doi:10.1111/j.1467-8683.2011.00845.x . Smith, W.K. and Lewis, M.W. (2011). TOWARD A THEORY OF PARADOX: A DYNAMIC EQUILIBRIUM MODEL OF ORGANIZING. Academy of Management Review, 36(2), pp. 381–403. doi:10.5465/amr.2011.59330958 . Gotsi, M., Andriopoulos, C., Lewis, M.W. and Ingram, A.E. (2010). Managing creatives: Paradoxical approaches to identity regulation. Human Relations, 63(6), pp. 781–805. doi:10.1177/0018726709342929 . Andriopoulos, C. and Lewis, M.W. (2010). Managing Innovation Paradoxes: Ambidexterity Lessons from Leading Product Design Companies. Long Range Planning, 43(1), pp. 104–122. doi:10.1016/j.lrp.2009.08.003 . Andriopoulos, C. and Lewis, M.W. (2009). Exploitation-Exploration Tensions and Organizational Ambidexterity: Managing Paradoxes of Innovation. Organization Science, 20(4), pp. 696–717. doi:10.1287/orsc.1080.0406 . LÜScher, L.S. and Lewis, M.W. (2008). Organizational Change and Managerial Sensemaking: Working Through Paradox. Academy of Management Journal, 51(2), pp. 221–240. doi:10.5465/amj.2008.31767217 . Khazanchi, S., Lewis, M.W. and Boyer, K.K. (2007). Innovation-supportive culture: The impact of organizational values on process innovation. Journal of Operations Management, 25(4), pp. 871–884. doi:10.1016/j.jom.2006.08.003 . Luscher, L.S., Lewis, M. and Ingram, A. (2006). The social construction of organizational change paradoxes. Journal of Organizational Change Management, 19(4), pp. 491–502. doi:10.1108/09534810610676680 . Sundaramurthy, C. and Lewis, M. (2003). Control and Collaboration: Paradoxes of Governance. Academy of Management Review, 28(3), pp. 397–415. doi:10.5465/amr.2003.10196737 . Lewis, M.W., Welsh, M.A., Dehler, G.E. and Green, S.G. (2002). PRODUCT DEVELOPMENT TENSIONS: EXPLORING CONTRASTING STYLES OF PROJECT MANAGEMENT. Academy of Management Journal, 45(3), pp. 546–564. doi:10.2307/3069380 . Lewis, M.W. and Boyer, K.K. (2002). Factors impacting AMT implementation: an integrative and controlled study. Journal of Engineering and Technology Management, 19(2), pp. 111–130. doi:10.1016/s0923-4748(02)00005-x . BOYER, K.K. and LEWIS, M.W. (2002). COMPETITIVE PRIORITIES: INVESTIGATING THE NEED FOR TRADE-OFFS IN OPERATIONS STRATEGY. Production and Operations Management, 11(1), pp. 9–20. doi:10.1111/j.1937-5956.2002.tb00181.x . Lewis, M.W. and Kelemen, M.L. (2002). Multiparadigm Inquiry: Exploring Organizational Pluralism and Paradox. Human Relations, 55(2), pp. 251–275. doi:10.1177/0018726702055002185 . Dehler, G.E., Welsh, M.A. and Lewis, M.W. (2001). Critical Pedagogy in the `New Paradigm'. Management Learning, 32(4), pp. 493–511. doi:10.1177/1350507601324005 . Lewis, M.W. and Dehler, G.E. (2000). Learning through Paradox: A Pedagogical Strategy for Exploring Contradictions and Complexity. Journal of Management Education, 24(6), pp. 708–725. doi:10.1177/105256290002400604 . Lewis, M.W. (2000). Exploring Paradox: Toward a More Comprehensive Guide. Academy of Management Review, 25(4), pp. 760–776. doi:10.5465/amr.2000.3707712 . Lewis, M.W. and Grimes, A.J. (1999). Metatriangulation: Building Theory from Multiple Paradigms. The Academy of Management Review, 24(4), pp. 672–672. doi:10.2307/259348 . Lewis, M.W. (1998). Iterative triangulation: a theory development process using existing case studies. Journal of Operations Management, 16(4), pp. 455–469. doi:10.1016/s0272-6963(98)00024-2 . Special Issue of Organization Studies, Special Editor, 2014 – present. Academy of Management Journal, Member of Editorial Board, 2003 – 2007. Journal of Operations Management, Member of Editorial Board, 2003 – 2005.